As they have been active since 2015, the threat actors in the Magecart gang have had numerous methods of attack and targets to try these methods on. 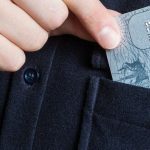 As new research is showing, the Magecart members are now shifting their focus and attack methods once more to evade detection and make a payday by stealing credit card information. The research comes from Willem de Groot, a Dutch national who is considered an expert on Magecart’s activities since their inception. Until these extensions are patched, it simply would be wise for users of the e-commerce website Magento and its third-party affiliations to exercise extreme caution and look for any signs of credit card fraud.